Welcome to the home of the science-fiction, fantasy, and superhero film and video discussion podcast, The Ωmega Beam! 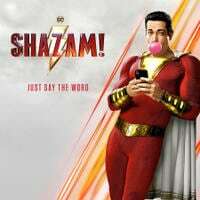 Now that Shazam! has been out for a while, it’s time for Golden and Orren to share their spoiler-filled discussion! ...continue reading the show notes. 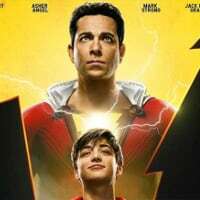 Golden and Orren offer a few quick, spoiler free thoughts about the forthcoming movie Shazam! 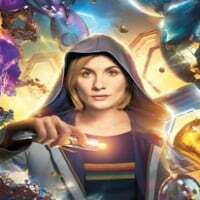 Golden and Orren discuss Doctor Who, Season 11—the first season to feature a female Doctor! Check out all of the podcast episodes. You can listen to the latest episodes right here on the front page, then click through to the show notes. You can also click through to the complete list of all episodes. The show notes are also categorized with actor tags, director tags, fictional character tags, and general content-related tags, so if you’re looking for content on something in particular, you can find it easily. Every page also includes links at the top for you to listen and subscribe to the podcast on your favorite podcast app. 27 November 2018: Site redesign! There will be continual iterations and improvement but this new design will last for a while. The entire back end has been replaced, so the site should be much faster now.